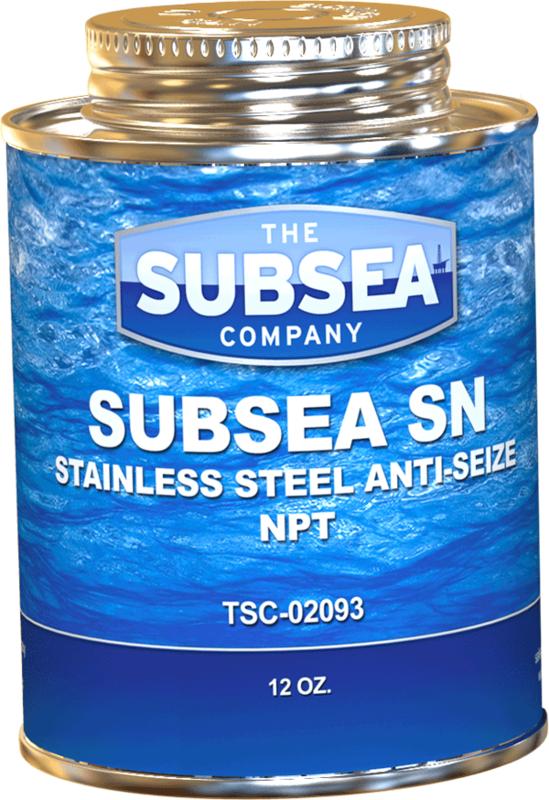 Subsea SN Stainless Steel Anti-Seize is designed to prevent galling on NPT stainless steel threaded connections. Commonly used in pressure applications, this thread compound lowers torque requirements, reduces friction and is equally effective on ferrous alloys. Capable of sealing to 20,000 psi, the high concentration of PTFE eliminates the need for Teflon tape. In the case of damaged threads, PTFE is compressed into the roots to maintain a leak free connection. Subsea SN’s ability to seal spiral leaks, eliminate galling and reduce friction delivers confidence to engineers with challenging applications.